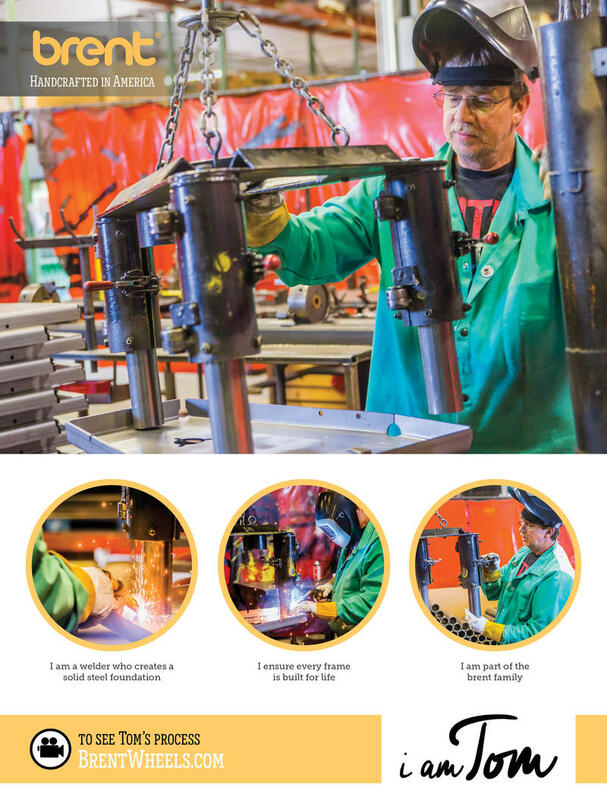 Since 1969, Brent wheels set the standard for quality by earning a reputation for dependability, unsurpassed by other brands. Each wheel is built with materials, components and workmanship designed to take the punishment of classroom and studio use over the long haul. Models range from the tabletop ie-t to the heavy-duty CXC with a 1 1/2 hp motor that can center over 100 lbs. of clay. 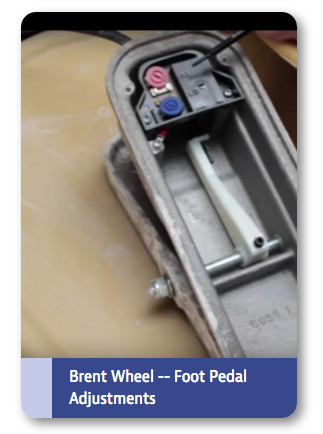 Amaco® and Brent® potter's wheels accommodate the needs of the potter, and small or large ceramic art departments. A wide range of quality accessories, including hand extruders, bats, and bat mobile carts are also available. Brent Wheels Brent wheels have set the standard for quality since 1969. During that time, they have earned a reputation for dependability that is unsurpassed by other brands. Each wheel is built with materials, components and workmanship designed to take the punishment of classroom and studio use over the long haul. Models range from the tabletop ie-t to the heavy-duty CXC with its 1 1/2 hp motor that can center over 100 lbs. of clay. Amaco® and Brent® potter's wheels accomodate the needs of the potter and small or large ceramic art departments. A wide range of quality accessories, including handextruders, bats, and bat mobile carts are also available. Slab Rollers Create beautiful and consistent slabs every time. Brent slab rollers save your energy, back, and time! Slab rollers are great for the serious slab builder! Extruders The brent® manual clay extruder makes thousands of different solid or hollow shapes: tubes, bars, tiles, slabs -- the possibilities are endless. Carts & Ceramic Furniture From the brent Ware Cart EX to the brent Batmobile, we offer many options for storing/moving clay and other accessories. Bats We have a wide range of bats to fit your style of working. From our nearly indestructible and long-lasting Plasti-bats, to our highly absorbent Setstone bats. Slab Roller Accessories Optional handles, leg extensions, and extruder stands for your brent slab roller. Wheels Accessories Accessories for your wheel--from brent Splash Pans to Leg Extension Kits. Classroom Kits Everything you need to get started for your classroom slab rolling projects in a convenient rolling cart set. After purchasing and taking delivery of any piece of qualifying equipment, you are eligible to receive a gift of up to $275 in LEAD FREE glazes from AMACO®. Determine the value of glazes from the chart above and make your selection from our glazes online. Send your list of preferred glazes to AMACO® within six months of purchase. *Glazes will be shipped at no charge to addresses within the continental U.S. If you have already purchased qualifying equipment and would like to redeem your rebate, please click here. NOTE: Online form requires completion of both the warranty registration and FREE glaze selections at the same time. If you have purchased equipment listed in the chart above and are eligible for the FREE Glazes Rebate, have your list of glazes ready when registering your purchase online. Glaze Product Rebates may take up to 30 days to process to guarantee orders ship complete. In the event glazes are backordered beyond 30 days, we will contact the customer to either substitute glazes for immediate shipment or get customer’s approval to ship a partial order at no charge. Customer will be responsible for shipping charges on any backordered items. All requests for glazes must be submitted after equipment is delivered and within 6 months of purchase date. Valid for end-users only, no distributors or dealers eligible. Please Note: brent® ie, ie-r, ie-x potter’s wheels, brent® Mini SRC slab roller; AMACO® 62-EFC, 67-EFC, MK-4, FA-5-E, and MAC-2000 kilns are NOT eligible for this program. 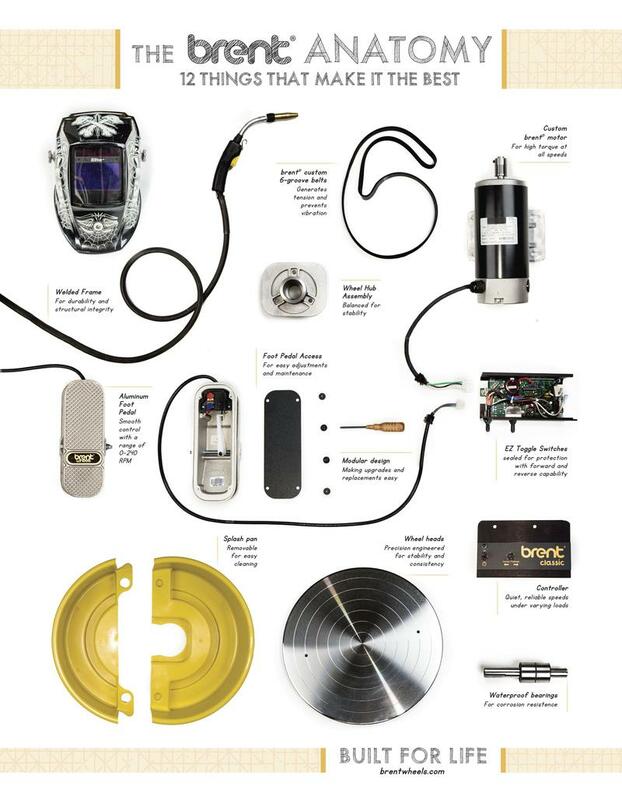 A downloadable PDF of all replacement parts for brent equipment. 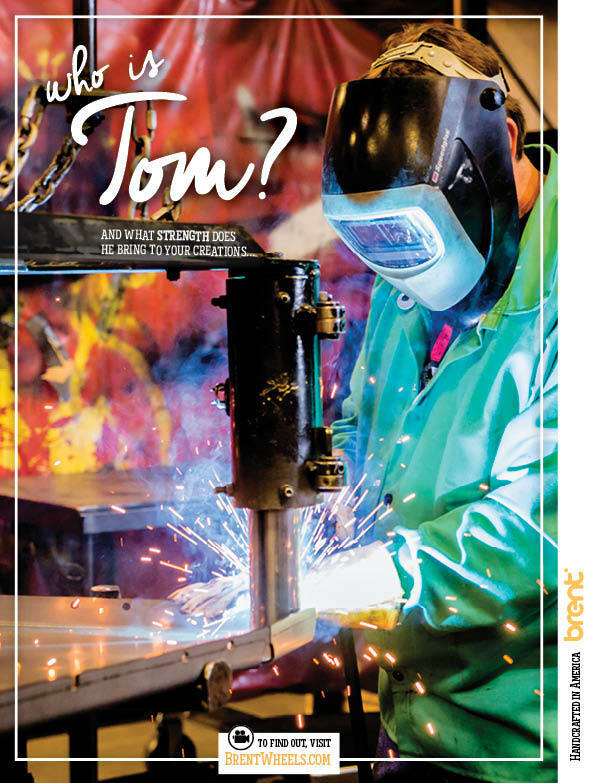 – + Brent - Handcrafted in America - Who is Tom? 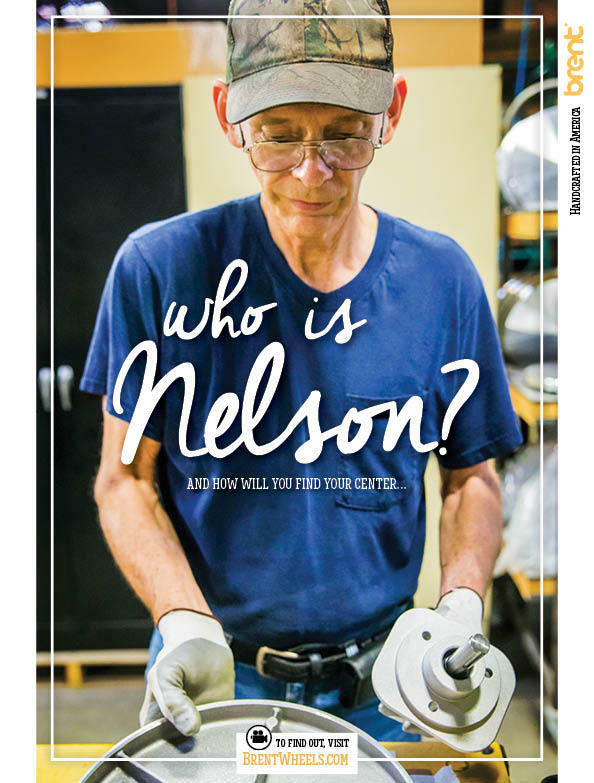 – + Brent - Handcrafted in America - Who is Nelson? 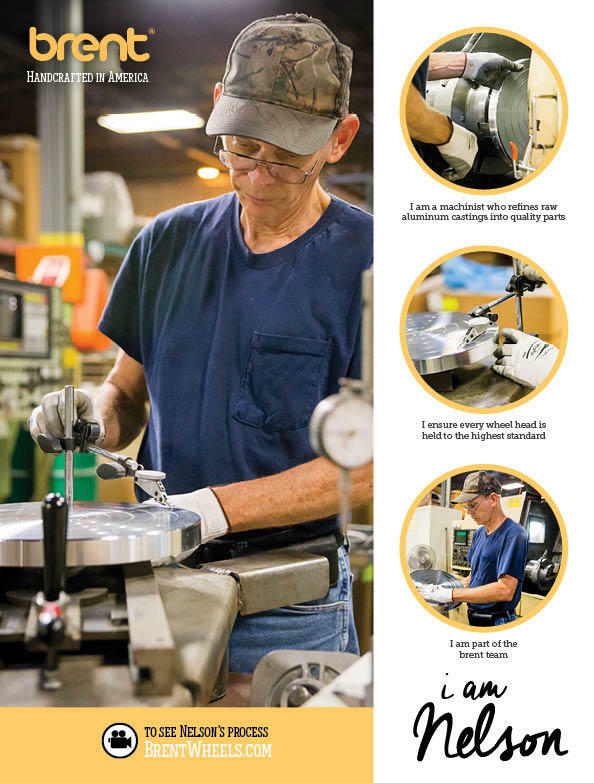 Nelson is a machinist that transforms aluminum into precision wheel heads.